What Plants Are Best ? Aquatic Plants are Mother Nature’s tool for filtering our ponds, lakes, natural waterways here in Illinois (IL). Plants are great for adding character to a backyard pond by providing color and texture, but from a filtration perspective, they’re second to none. ​Plants consume the excess nutrients in a pond depriving algae of its food source, the aquatic plants in a water garden are critical for the overall health of the pond, water garden, or ecosystem. Keep in mind that some plants available from online resources are illegal or are prohibited here in Illinois. 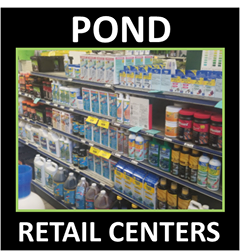 Check with the supplier or one of our Illinois (IL) Pond Contractor Services Members on which plants will do best in your pond or water garden. ​1. Include a minimum number of plants for your pond. 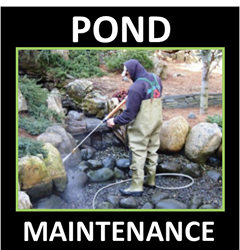 In Illinois we recommend a minimum of 40-50% of the surface area of your pond covered with plants. This can be accomplished with shallow bog plants, waterlilies, floating plants, or any combination thereof. Plant cover helps shade the water keeping it cool for the fish and slowing the growth of algae . In addition, the coverage of plants provides the pond fish with a safe place to hide from predators. Additionally, plants make it possible to blend your waterfalls & Stream in with your existing landscaping. 2. Use plants to naturally filter the water in your pond. Plants absorb nitrates and phosphates that would otherwise encourage and contribute to algae growth. Generally speaking, the more plants you have, the less algae-related maintenance will be required. 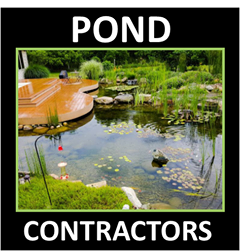 Pay close attention if your contractor wants to add a bog or "Constructed Wetland Filter" to your pond. This type of filtration is hands down the best performing, and can be the best aesthetically for your enjoyment. We suggest using a mix of 40% perennial plants and 60% tropical plants like taro plants for your bog filters. 3. Prune plants to keep them from overtaking the pond. If your pond looks like it’s being suffocated by plants, it’s time to do a little pruning to regain a balanced look. Aquatic plants are usually very easy to divide, but each different type has its own requirements. Invest in a good aquatic plant book and you’ll have all the information you need. When you’re finished dividing them, you will likely have some extra plants that you can use to decorate a less crowded section of the pond, or you can share them with your water gardening friends. 4. Add marginal plants for a natural look. When you look at ponds out in the wild you’ll see Mother Nature has incorporated a variety of plants around the edges. Be sure to include marginal aquatic plants in your ecosystem pond to help soften the edges and make your pond blend in with the surrounding landscape. Plant your marginal close to the edge, or even between the rocks surrounding the pond. You’ll be rewarded with a more natural-looking pond.